Alexa Shrugged: Even the French are Mocking Obama’s Vacations! Even the French are Mocking Obama’s Vacations! Obama is on a family and golfing holiday in a ritzy neighborhood of Martha’s Vineyard but says he will come back to Washington briefly on Tuesday before returning to fun, sun, and more golf. 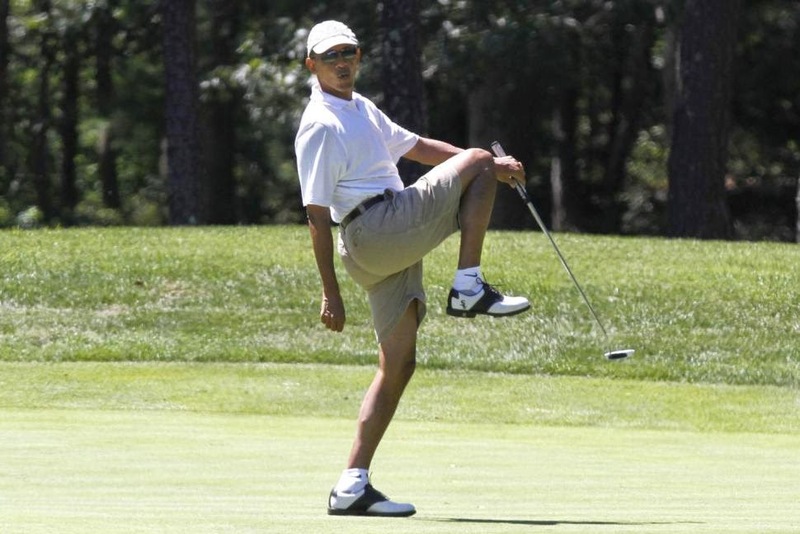 Fabius visited refugees in Iraq on Sunday, Obama golfed.